Gender differences in wages are a persistent pattern in most European countries. This study analyses the earnings divide between men and women and the driving forces behind it in 26 countries. In 2014, the cross-country gender pay gap stood at 14.2%. However, country-level results differ tremendously with high gaps of more than 20% in Estonia and Germany and gaps below 5% in Belgium, Luxembourg, Slovenia and Romania. While part of the earnings divide can be explained by gendered sector affi liation and the high share of atypical employment among women, a large portion of the gender pay gap remains unexplained by the data. Even though the gender pay gap statistics are unable to identify the (non-)existence of discrimination, it still calls for diverse measures both at the state and the firm level. 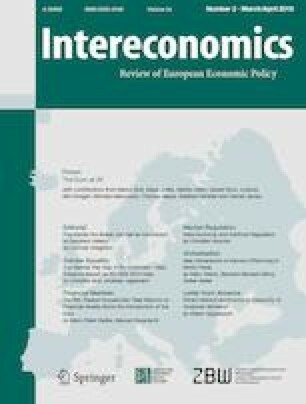 This article is based on the following study: C. Boll, A. Lagemann: Gender pay gap in EU countries based on SES (2014), Report prepared for and financed by the European Commission — Directorate-General for Justice, Luxemburg 2018, Publication Office of the European Union, available at https://doi.org/ec.europa.eu/info/sites/info/files/aid_development_cooperation_fundamental_rights/report-gender-pay-gap-eu-countries_october2018_en_0.pdf. Christina Boll, Hamburg Institute of International Economics (HWWI), Germany. Andreas Lagemann, Hamburg Institute of International Economics (HWWI), Germany.